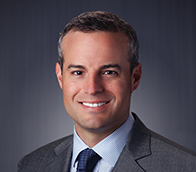 BOSTON, MA - BOCA RATON, FL (November 3, 2016) - Joyal Capital Management (JCM) announces the appointment of Matthew Stadtmauer as Managing Director to expand the existing Private Client Group and to lead the formation of a Trust Services & Fund Management company. With offices in Boston, Mass., Boca Raton, Fla. and Beverly Hills, Calif., JCM is a leader in the boutique family office space. Under the direction of the Private Client Group, JCM has over 800 private families in 30 states with over $6.4 billion in trust serviced assets. JCM's Mergers & Acquisitions division has handled over $600 million in sell side transactions to date with a heavy concentration in branded franchises and $1.25 billion in debt placement through an affiliated entity, JCM Finance. The JCM private equity fund is currently investing into its sixth investment since 2014. Stadtmauer is an experienced finance executive who has been in the asset management business for over 20 years, where he focused on alternative investments. He brings extensive experience working with high-net worth individuals in either a single-family office setting or in conjunction with a multi-family office. "The timing couldn't be better to bring a seasoned professional into JCM," said Gary F. Joyal, Managing Partner and CEO. "Since starting the firm almost 30 years ago, we are currently experiencing a significant increase in the second and even third generation planning needs for our clients. This notable increase, along with our mission to always provide the best-in-class resources for our clients and their families, is the catalyst behind the formation of the Trust Services & Fund Management company. Matt's thought leadership will be an integral part of continuing this mission moving forward." In addition to his managing director role at JCM, Stadtmauer - alongside Gary Joyal - will also be on the management committee of Washé as the company continues its proforma growth trajectory. Washé, known as "the app that cleans your car," was founded by Stefan F. Joyal in 2015. Since its launch a year ago, Washé has claimed a dominant presence in south Florida. This year, the company has expanded its services to include high density locations in southern California, and Arizona, Texas and the Northeast is slated for rollout during 2017. Washé is a fully-functional mobile application that connects car owners with on-demand mobile car washers via their smartphones. Using GPS location services, SMS communications and secure payments, customers can request a simple car wash or a full detail simply by using the free app. Stadtmauer's relationships and experience in Manhattan gives the Boca Raton-based company a northeast presence, which will provide a distinct advantage for the company's continued expansion plans. "I am thrilled to have the opportunity to help grow the family office experience for all JCM relationships through the formation of our new, expanded platform," said Stadtmauer. "The suite of offerings from JCM focuses on creating and maintaining the best client experience possible, and I am committed to adding value in every way possible to continue the long standing relationships at JCM."